Is rest of the elephant fair 'game'? Someone tinkled on my Ivories! 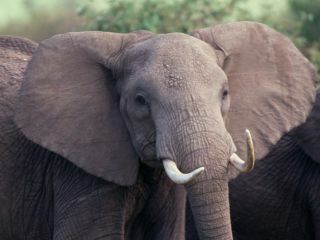 eBay will bring in a worldwide ban on the sale of Ivory products by January 2009 – with conservation groups bringing pressure on the online auction site. The announcement was made on eBay's official company blog – ahead of a report released by the International Fund for Animal Welfare. "We feel this is the best way to protect the endangered and protected species from which a significant portion of ivory products are derived," the company told Reuters. Elephants are a protected species under the International Trade in Endangered Species, after their numbers dwindled due to hunting for their ivory tusks. However, eBay was keen to point out that antiques (pre-1900) with a small amount of ivory – such as pianos with ivory keys or jewellery with small inlays would be allowed.